Happy Birthday and a big welcome to one of our newest members, The Esmeralda Inn & Restaurant! But we also welcome the Inn as our OLDEST member in Blue Ridge Mountain Host. And that is even older than our member, The Biltmore Estate. The Esmeralda Inn was built in Chimney Rock Village in 1891, a mere 125 years ago, by Colonel Tom Turner. The Inn once served as a stagecoach stop for travelers. Today it is known for its romantic accommodations for visiting couples and as a home-away-from-home for touring families. The public is invited to join Owners and Innkeepers Don & Kim Cason, along with their staff, on April 8th from 1pm to 3pm as they honor the Inn’s deep history and dedication to its loyal guests. Beginning at 1pm with birthday cake and punch followed by familiar and untold stories about the Inn’s historical significance, as revealed by local historians, and a proclamation by Peter O’Leary, mayor of Chimney Rock Village. If you have them, bring your photos, stories and memories of times spent at the Inn and share with them. The event is free to attend and open to the public. The Esmeralda Inn enjoyed a history also rich in Pop-culture from as far back as 1915! Motion pictures were a booming enterprise, and silent movie stars and makers used The Esmeralda Inn as both accommodations and a film set. Among those who set up camp were Mary Pickford, Clark Gable, Gloria Swanson, and Douglas Fairbanks, to name a few. The script for “Ben Hur” was completed by author Lew Wallace in room number nine. 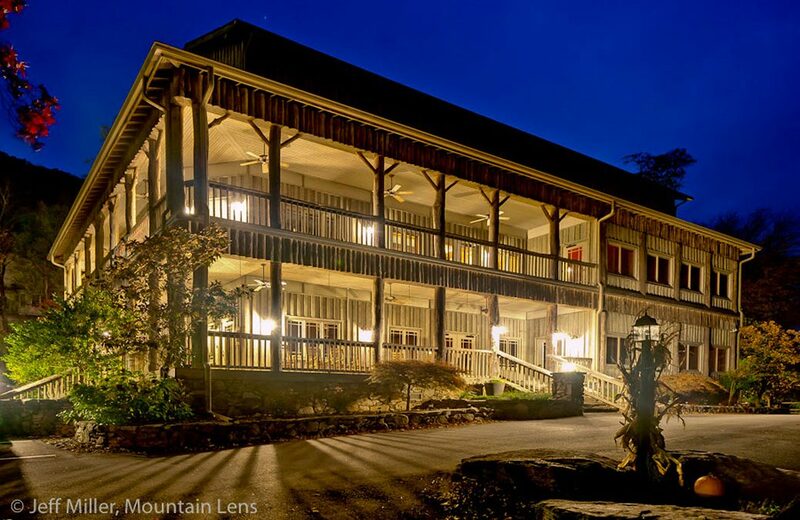 When the Inn was rebuilt in 1997 following a tragic fire, the lobby floor was created using the famous floor upon which Patrick Swayze and Jennifer Grey shared their final dance in “Dirty Dancing,” which was filmed in neighboring Lake Lure. That iconic film celebrates its 30th anniversary this year. For more information, visit www.TheEmseralda.com or call 888-897-2999.